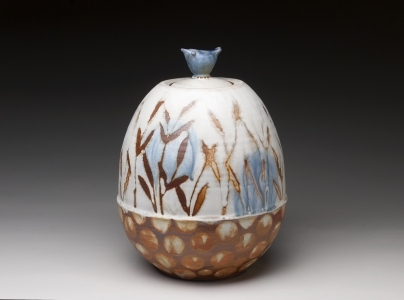 My work employs traditional decorative botanical themes, while making an intimate connection to my imperfect and ever-changing environment. 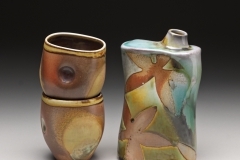 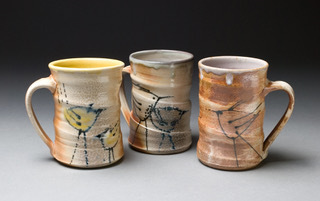 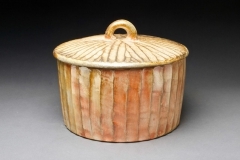 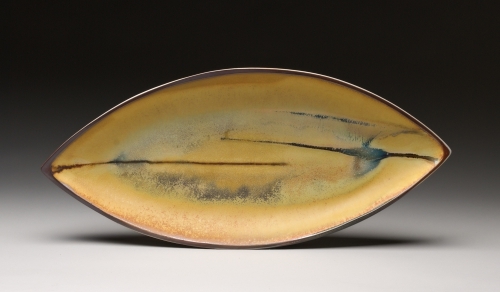 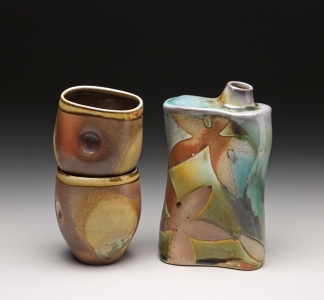 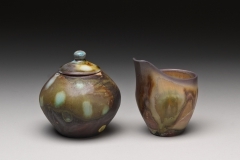 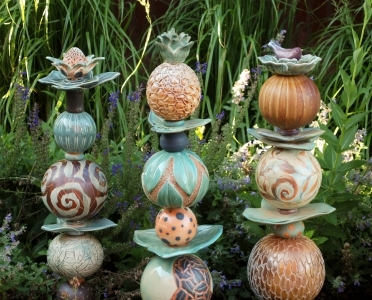 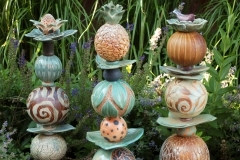 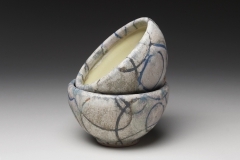 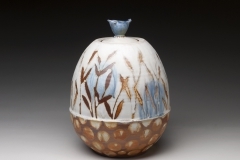 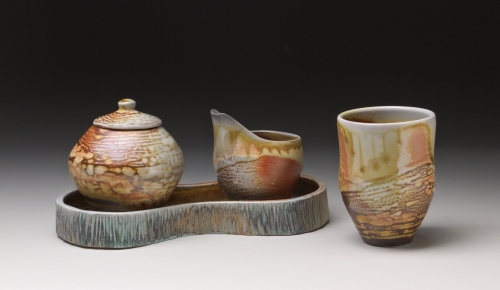 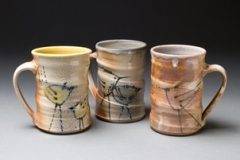 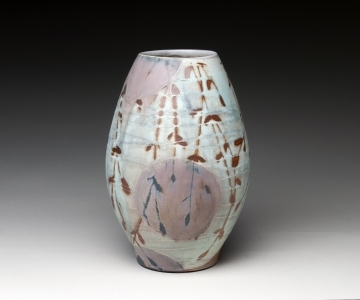 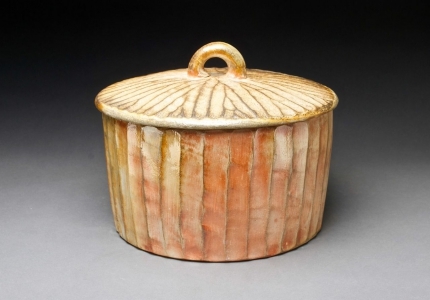 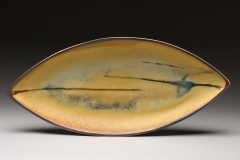 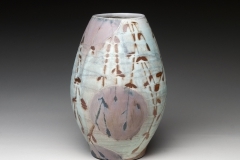 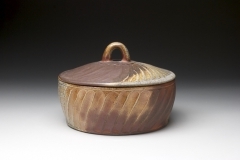 The surfaces are layered with multiple glazes and fired in high-temperature atmospheric kilns, ensuring that each piece is lively and unique. 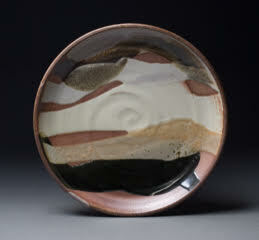 I am a maker of wood fired functional stoneware and porcelain. 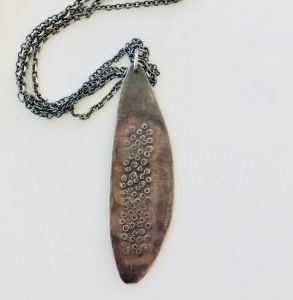 Jewelry is a refuge, a passion, and a meditation. 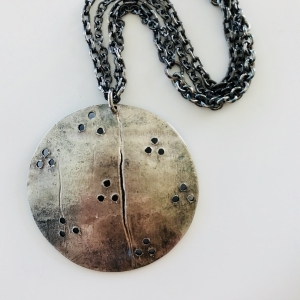 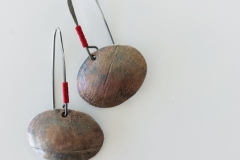 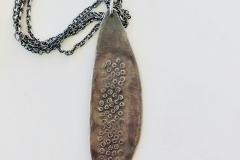 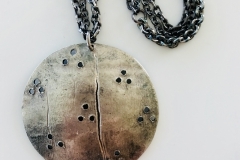 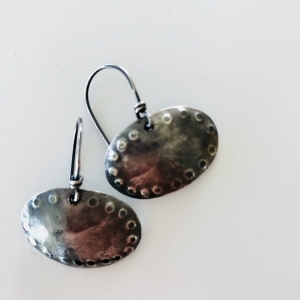 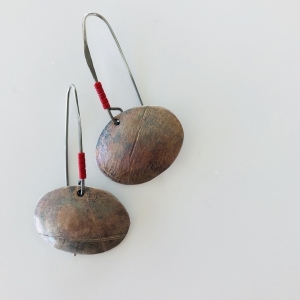 I want to challenge notions of what constitutes fine jewelry by creating jewelry with an inherent, elemental strength that speaks to the viewer with an integrity that demands to be felt, worn, and cherished. 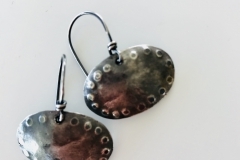 I can’t imagine doing anything else. 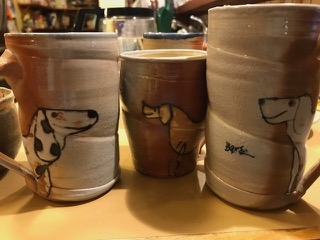 I enjoy making functional everyday pots that every person can use and enjoy. 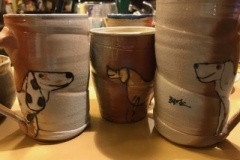 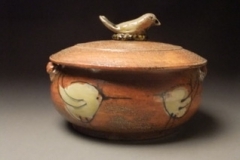 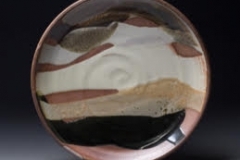 I love the soda firing because it allows the clay body to show itself and blend the artist’s throwing energy, kiln atmosphere, and glazes into one piece. 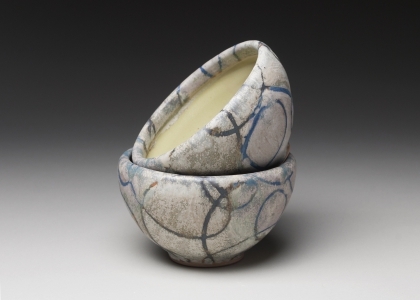 My process begins by working porcelain into functional forms, altering them along the way to create a shape complementary to an organic user experience. 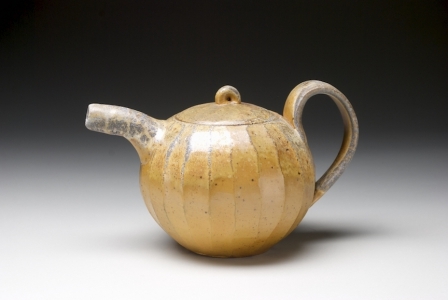 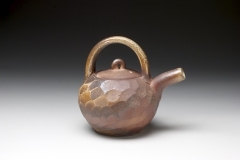 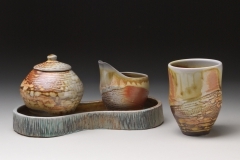 The final soda firing dramatically changes the raw clay and glazed surfaces, “capturing” the firing process and making each piece a one of a kind.